In a medical emergency, speed is everything. The faster emergency responders are able to reach the scene, the better the chances are that the patient will survive. But what if that patient is incapacitated, or otherwise unable to communicate properly with medical professionals? That's where the WRIXO comes in. The WRIXO is a cloud-based medical ID wristband containing an NFC chip. The device's primary goal is to provide an easy way for emergency responders to access comprehensive medical information on the patient they're treating -- potentially saving lives in the process. 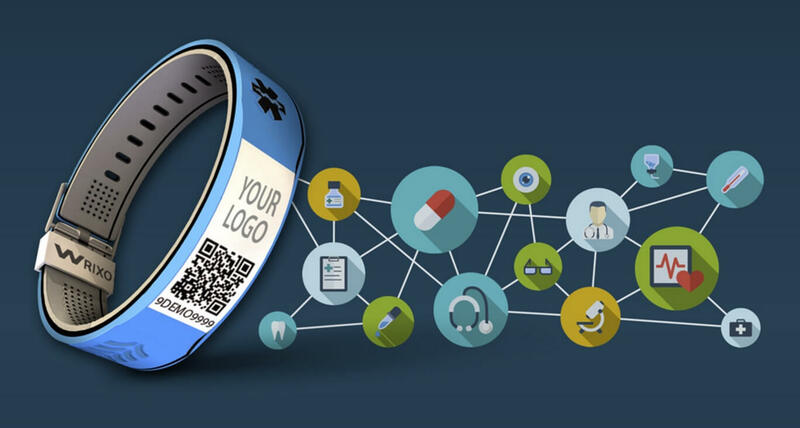 In theory, emergency responders need only scan the wristband's QR code with their smartphone or tablet and enter their phone number -- to receive a temporary access PIN, in the interest of protecting the patient's privacy -- to gain instant access to whatever medical details the patient has opted to share in the WRIXO cloud. This information might include previous medical diagnoses, prescription medication, the patient's blood type, or even their medical records. Though the WRIXO appears to be geared mostly towards use with the elderly and children, it's clear that giving emergency responders faster access to critical medical information can benefit just about anyone. The device is also waterproof and battery-free, meaning it can be worn virtually anywhere. Idol Memory, the company behind the WRIXO, is a seller of various personal gadgets, from fidget cubes to fitness scales, and has taken to IndieGoGo to fund mass-production of the device. The company has set an initial funding goal of $35,000, and announced a tentative release date of November this year. If you want to pick up a WRIXO for yourself or a loved one, the basic IndieGoGo funding tier will run you about $19.99. For that sum, you'll get access to the device when it launches and one year of the standard WRIXO cloud service.